‘Concreel HD’, a unique cement specially designed for all your concrete based construction requirements. Concreel HD provides exceptional early and final strength along with quick setting thus making it ideal for strength bearing applications such as beams, columns, slabs and foundations. 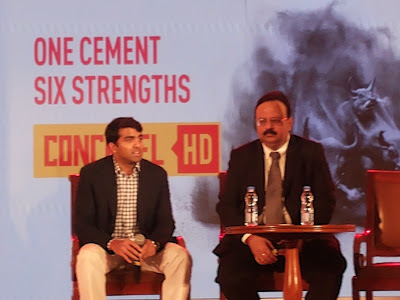 A result of world class manufacturing process, Concreel HD is an environmentally friendly product with improved chemical resistance and superior cohesion, thereby providing more durability and increased safety to your structure. Therefore, Concreel HD is the perfect solution to all your concrete based construction needs. 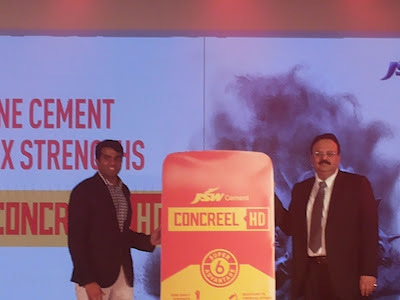 JSW Cement has been doing very well in the South and to add to its excellence JSW Cement has launched the Concreel HD cement which will help the company to add more to its turnover which will in turn help the company to grow leading to its expansion and diversification.